Welcome to OlyCurl! We are glad you are visiting! Take a look around and when you are ready to come see us, fill out the New Client Form and send us pictures of your curls! OlyCurl is Olympia's premier Curlologist. We are OlyCurl and curly hair is our passion! As stylists, we have heard the cry from Curly Girls so many times over the years, "Can you cut curly hair?" and "I can never find someone that can help me manage my curly hair!". We at OlyCurl realize the desperate need for stylists who know how to nurture curls and bring them to health and to help curly girls embrace their true curly selves. We are the only salon in Washington that is solely dedicated to curls and have received specialized training in the oft-overlooked field of naturally curly hair. 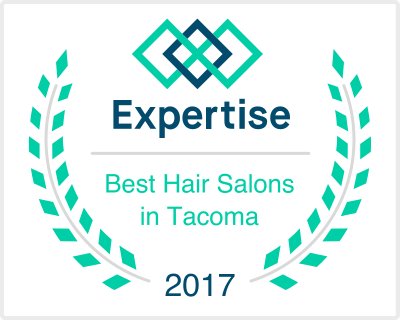 We are excited to be able to help Curlies in the Thurston County area and beyond. We subscribe to the CG, or "Curly Girl" methodology of curly hair care, which is in essence, hydrate, hydrate, hydrate! Properly hydrated curls are less likely to separate and frizz out, and we will seek to assist you on how to achieve this with your own hair; starting with a comprehensive 10-point curl analysis, custom curl-by-curl cut and ending with proper product choices, application, techniques and written, take-home instructions. Are you ready to embark together on your OlyCurl journey?